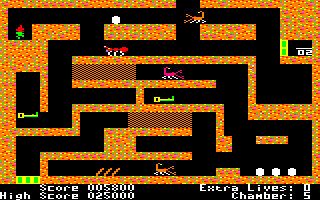 A bit of an odd one, this – a maze game where you crawl around avoiding scorpions, collecting keys, hitting objects that move obstacles, all in an attempt to save the trapped queen. Upon playing this for the first time you quickly reach game over, but as you learn how your actions affect the maze, it soon becomes addictive. Once you find the way to the last key, you move on to the next level, which scrolls slowly upwards. Each maze contains secrets and new situations that have to be worked out – like the bridge you build in the third maze. Pleasant MODE 0 graphics with basic sound effects thrown in. The kingdom of Torot has been cursed and only Sir Galaheart can return it to normality again by seeking the sacred Firestone, which is in the hands of the Evil Queen. Torot covers a large area, and to get anywhere, you're going to have to collect the objects which are scattered around and trade them with other folk. You'll also have to make a map and note some teleport codes! 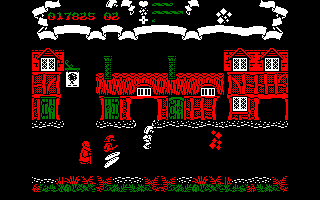 It has the look of a Spectrum port and the graphics aren't all that impressive, and there isn't much sound either, but it's a good game, if a little too large for me! Fireman Sam and his crew have to go round the streets of town and get to the scene of emergencies quickly. Among the many tasks that Sam is asked to complete are fires (of course), getting objects off a roof, and freeing kids who have got their heads stuck in the railings. However, most of Sam's time seems to be spent looking for lost objects. I'm sure the fire service have better things to do than that! If you don't complete a task properly, you'll receive a warning letter; if Sam gets three of these, he's sacked. The game is obviously aimed at children – after all, it is based on a TV cartoon series – and the colourful graphics will appeal to them. For more mature players, though, that's not enough. A large fire has started inside a huge skyscraper. Soon, it is completely ablaze and has spread to neighbouring skyscrapers. 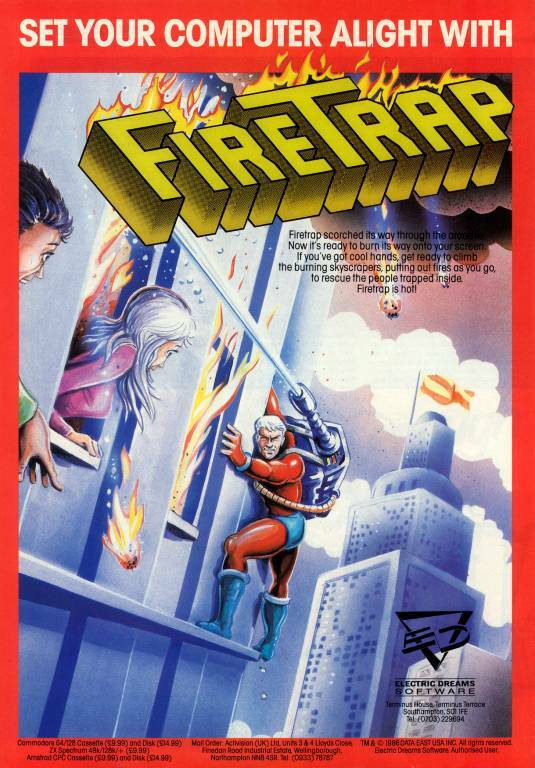 The city requires a daring hero to climb the walls of the skyscrapers and rescue the people inside; that's you, naturally. Starting at the bottom, you must work your way to the top and put out any fires that block your way and avoid the falling objects. In fact, you don't have to rescue all the people (that's not very nice at all! ); your main aim is to reach the top, where a damsel in distress is waiting for you. 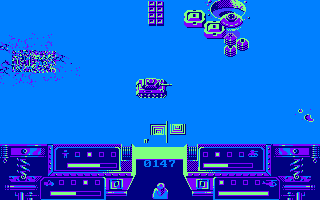 However, the graphics show that the game is obviously a Spectrum port, and unless you keep moving quickly, you will become frustrated at the difficulty of the gameplay. Although it's a Code Masters release, the person who wrote this also wrote several football management games for Cult, and you know what they're like! This isn't one of the better games, though. It has a graphical menu screen representing your office, where you click on objects on the screen to do things, but the graphics are poor, and the match highlights look awful as well. 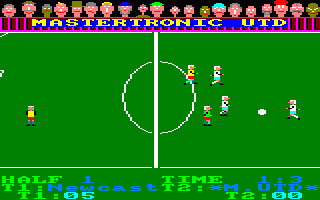 The worst bit, though, is that most matches end 0-0; in fact, I had to replay an FA Cup match six times because of this! You can train your players in certain areas, but this seems to be of little use, and it's very hard to get yourself promoted given that winning games is so elusive. There are a few horse racing games for the CPC, but in this game, you actually manage your own horses and enter them for race meetings, as well as betting on other horses and competing with three other trainers. You can enter up to two horses in each race, and study their recent form before you do so. Watching the race itself is relatively amusing as you watch the eight cartoon horses gallop to the finish. However, the graphics are rather poor, and if you're not a fan of horse racing (like me), it's likely that you won't find this game interesting. If you want to put some digitised speech into your game, at least make sure it's recognisable. As well as being possibly the easiest football game I've ever played (I won my first game against the computer 8-0 and the second 16-0 – and that was in the six-minute game! ), it also has the worst digitised speech I've ever heard in any game. You can just about make out the words "Goal! G-g-goal!," but try listening to the attempts at saying "kickoff" and "half time". Thrashing the computer is fun for a while, but soon becomes boring. Playing against a friend might be more fun, but it's a pretty mediocre game, anyway – passing to other players is impossible. The sound of the crowd is good, though. Oh, no! Don't talk to me about this one! This is a pitifully poor football game which is simply far too easy. 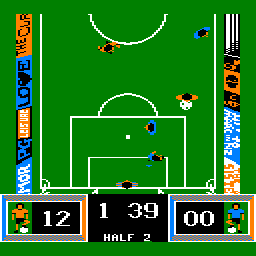 It's not just the graphics, which look like a five-year-old drew them and which feature colour clash; nor the awful sound effects which pass for the crowd cheering and the ball being kicked; it's that the opposition are easy meat, and in some instances you can walk straight through them and into the goalmouth without any bother. The animation is dire as well. Avoid this game! The Earth has been invaded by aliens and you must clear it! You’re a kind of bionic soldier who can transform at will into a jeep, a tank or a helicopter (!). Well, there isn’t much more to tell you about this game. The graphics are dull, the action is boring and the sound is awful. All you can do is try to stay awake as long as possible. I hate those games that haven’t got an ending; when all the aliens have been killed, the colours change and... it's back to the beginning! If you're seeking a challenge for a few quid... whoops, we're not back in the 1980s. Flash Gordon consists of three stages which are very difficult but a worthy challenge in their distinct ways. The first stage involves a platform affair seeking out Lord Barin, who is hidden beyond the jungle where you first find yourself. There's only one way through this jungle, where you must keep your weapon topped up and try not to run out of time. It took me ages to find the route without cheating. 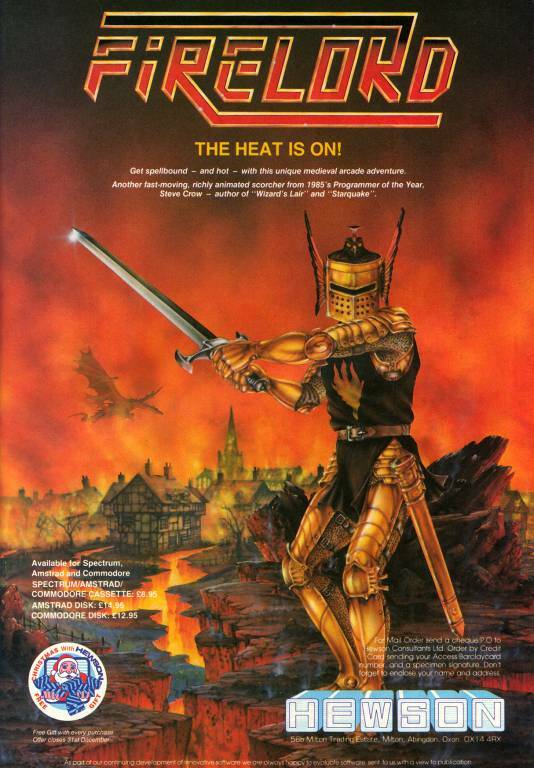 The second stage involves meeting Lord Barin and having to fight him in a Street Fighter II-style game – quite impressive for its time. I never reached the third stage. 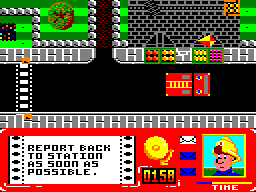 Overall, good, colourful graphics with average sound effects depicting a game where you have to think in order to win.